Internet users are tired of long-term contracts, so CenturyLink has come up with the perfect solution: CenturyLink Internet with no contract required. No bundling. No kidding. Wondering if your price on internet will skyrocket after a year. Enter CenturyLink Price for Life Internet. Price for Life is just what it sounds like: when you maintain the same internet plan at the same address. Instead, you can count on setting aside the same amount in your internet services budget every month for as long as you keep your plan. 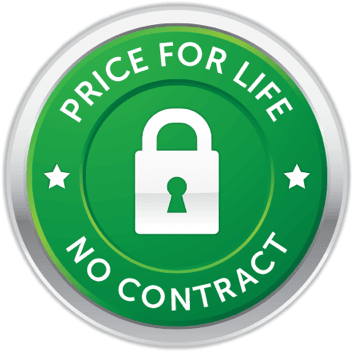 And don’t forget: Price for Life Internet from CenturyLink is no-contract, so even with no contract, you lock in the same great price for the same services at the same address. Kissing contracts goodbye also means bidding farewell to other obnoxious restrictions and service fees. With no contract, there are no early termination fees and no cancellation fees. Perks like these mean signing up for CenturyLink is risk free. Pay as you go and cancel any time if you decide CenturyLink services aren’t for you. Without the contract, you also don’t have bundle to get the same services. Whether you want standalone internet services, internet and TV without home phone, or internet and home phone without TV, there’s no bundling necessary to lock in a price you’ll love.